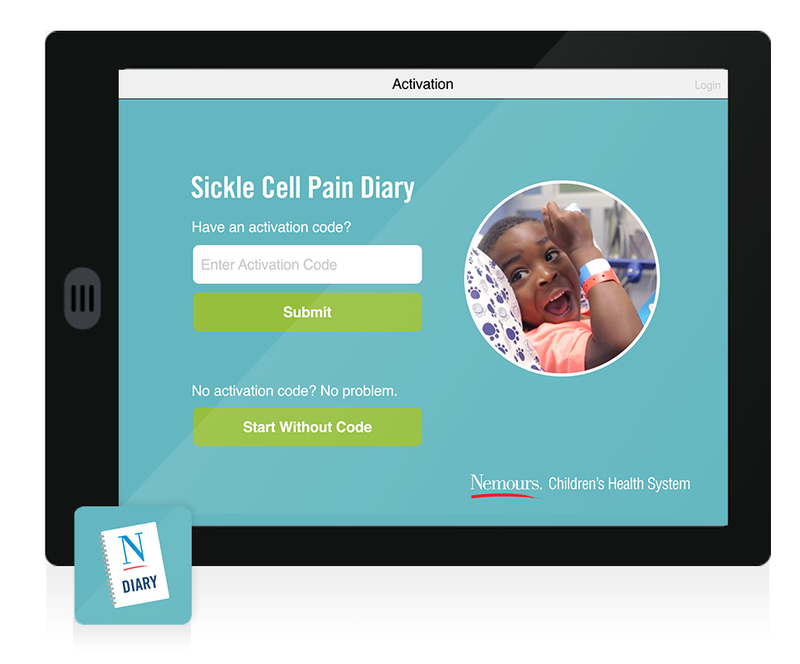 The Nemours research team wanted a way for Sickle Cell patients to easily record how they were feeling each day over a period of time. An app with elegant design was created to achieve this goal. 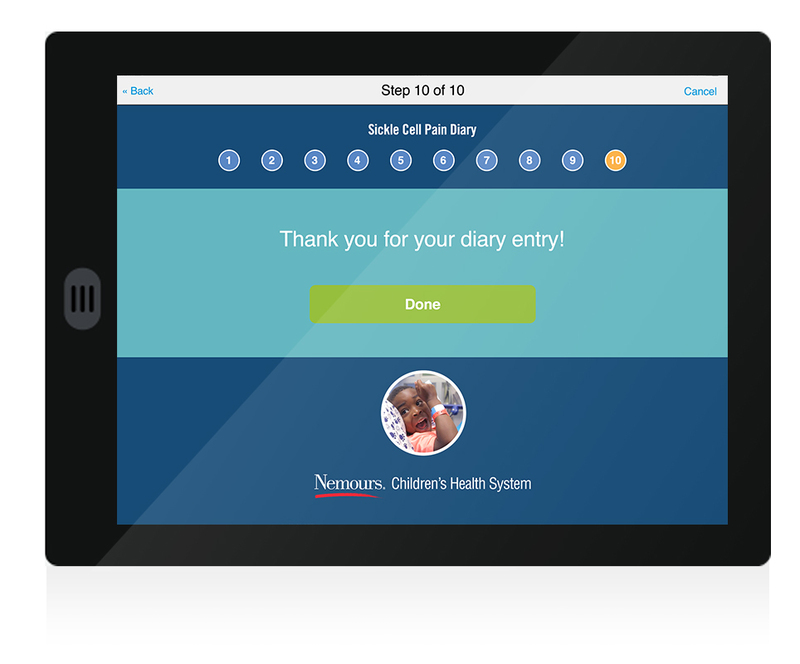 Patients simply open the app and answer the questions to log their pain.